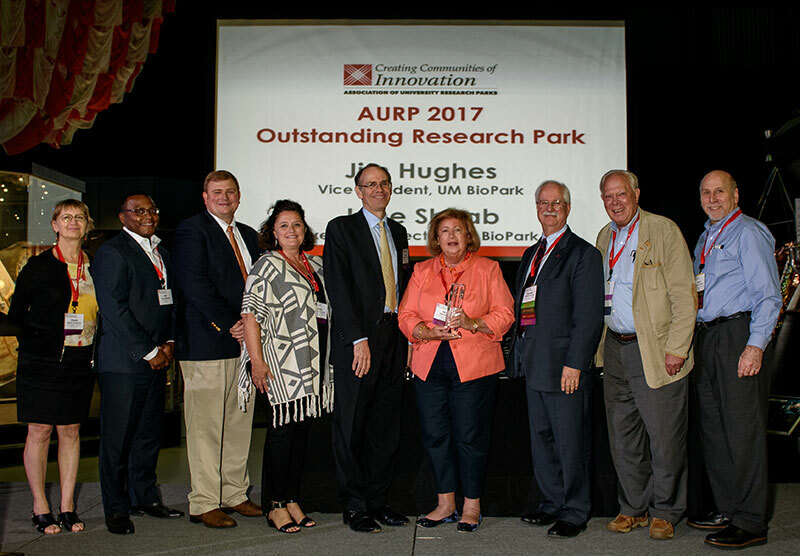 Huntsville, AL, October 12, 2017 – The Association of University Research Parks (AURP) today announced the recipients of the Awards of Excellence recognized during its 2017 International Conference hosted by Cummings Research Park in Huntsville, AL. Additionally, AURP announced the results of the election for its 2018 Board of Directors. 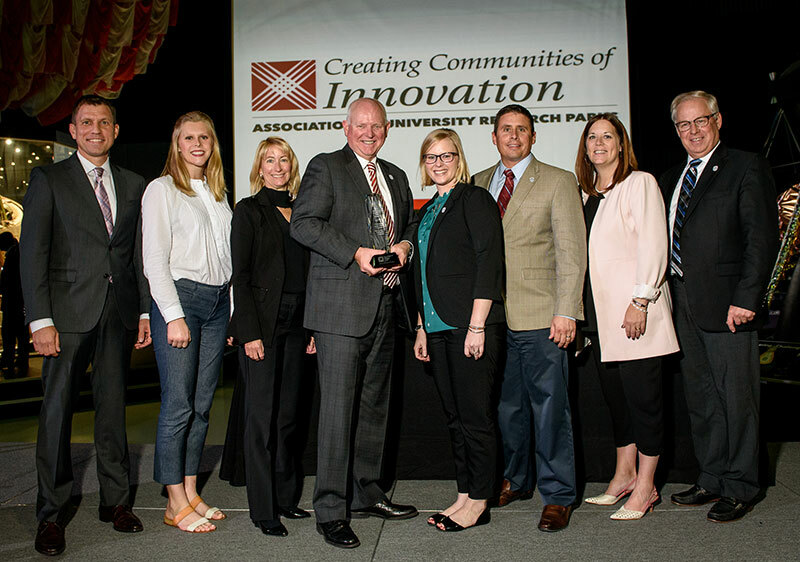 Categories for the 2017 Awards of Excellence include the coveted Outstanding Research Park Award, Emerging Research Park Award, Career Achievement Award, Leadership Award, Developing Communities of Innovation Award and Innovation Award. 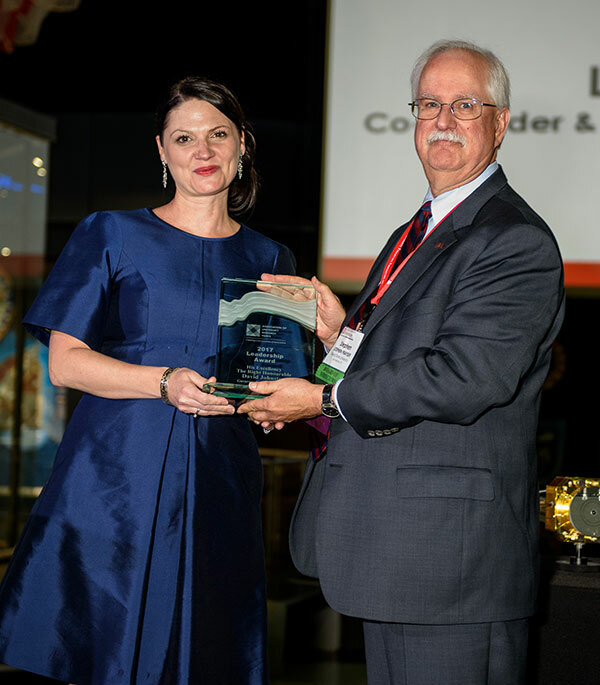 The University of Maryland BioPark, located in Baltimore, MD, was named the Outstanding Research Park in recognition of its ability to excel in the promotion of growth in technological commercialization and collaboration. 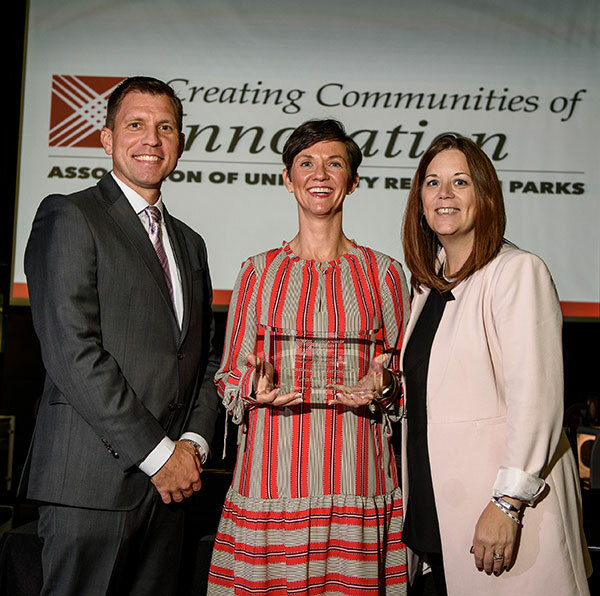 The University of Maryland BioPark has created a robust community of innovation while being an integral participant in the University of Maryland, Baltimore (UMB), and in the surrounding community. Over the past 12 years, UMB and its Research Park Corporation (RPC) have worked with developer Wexford Science & Technology to assemble a 12-acre area of land from over 20 property owners and built two commercial lab buildings for clinical research. The BioPark has generated over $400 million in capital investment, helped to renovate historical buildings and achieved an occupancy rate of 98 percent. This growth spawned a rejuvenation of the surrounding area in West Baltimore, which now fosters a thriving community with the planned development of additional retail storefronts, housing, hotel and daycare facilities. NIC began construction on its campus in 2012 and currently holds over 380,000 square feet of office, laboratory, greenhouse, maker space and commercial space. In addition to a rapidly expanding facility, NIC boasts a 94 percent tenancy rate and houses over 30 partners. The growth has attracted more than $148 million in both private and public investment and has prompted the construction of an additional 80,000 square feet in multi-tenant workspace. Having served for 20 years in leadership positions at local, state, national and international levels in the innovation and research communities, Mr. Darmody has continually been a proponent of the development of science and research parks, the promotion of communities of innovation and the advancement of the public policies that support them. He previously served as the President of AURP and is currently a member of the AURP Strategic Planning Committee, as well as co-chair of the Government Relations and Advocacy Committee. 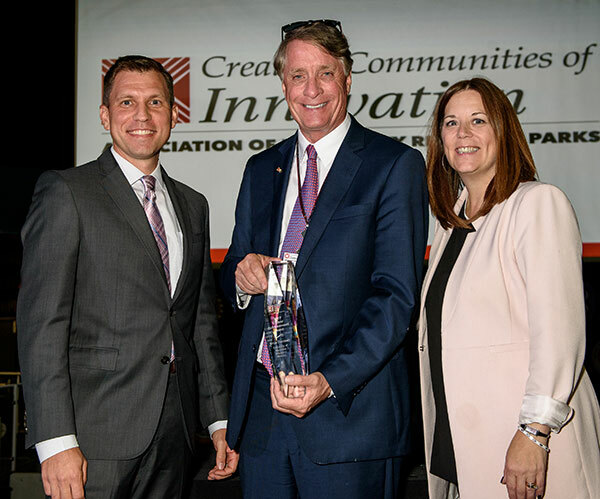 Mr. Darmody led the development of the newly renamed University of Maryland Discovery District, formerly the University of Maryland Research Park, recognized as the 2015 Research Park of the Year. He has testified on behalf of AURP before the U.S. Senate and played a leadership role in the development of a new financial support for the planning of research parks and innovation districts through the U.S. Department of Commerce, Economic Development Administration. Mr. Darmody played a key role in the work with the National Academy of Sciences in the development of programs that examined the international dimensions of U.S. research parks. 2017 Leadership Award: His Excellency David Johnston. Accepting on behalf of His Excellency David Johnston is Laura O’Blenis. Canada’s 28th Governor General, His Excellency David Johnston has been a true champion for the 26 research parks across Canada. His leadership has opened doors to Capitol Hill in Ottawa and proven instrumental in the launching of a national economic impact study highlighting the role of research parks in creating robust communities of innovation. Mr. Johnson served as the principal of McGill University and the President of the University of Waterloo before Queen Elizabeth II asked him to serve as Canada’s Governor General. His passion and mission have been to create meaningful opportunities for the collaboration of industry, academia and government for the betterment of the world. 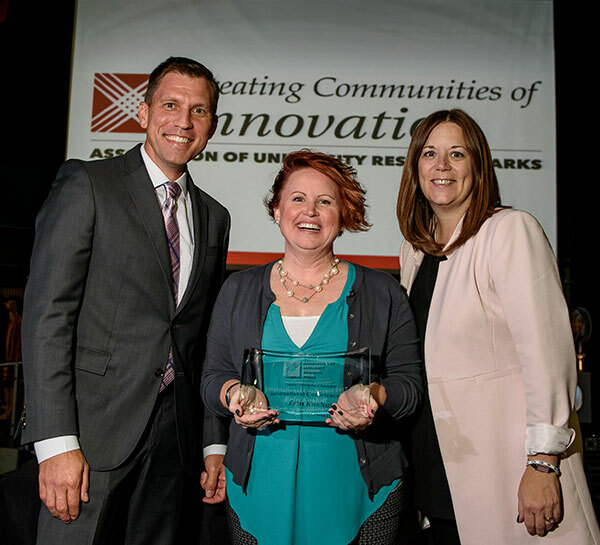 Developing Communities of Innovation Award: Cummings Research Park. Accepting on behalf of Cummings Research Park is Erin Koshut. As the second largest research park in the U.S., and the fourth largest in the world, Cummings Research Park (CRP) is known as one of the world’s leading scientific and technology research park. 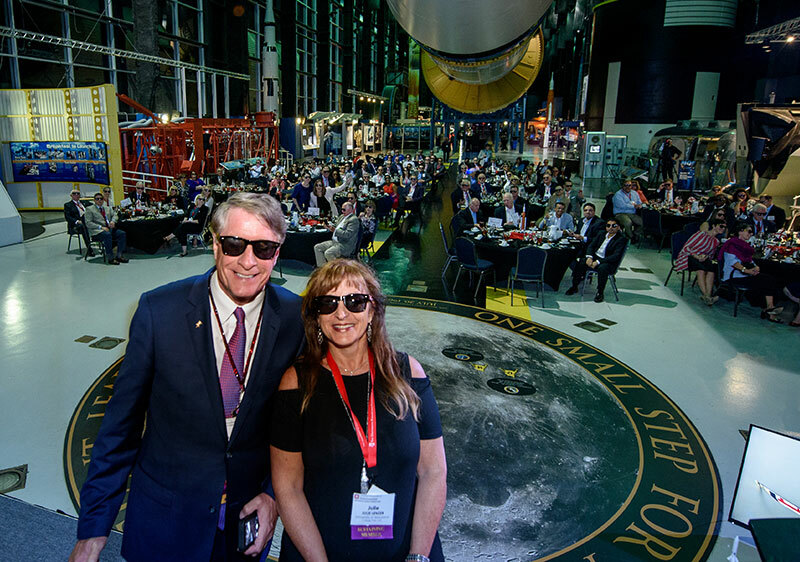 Established in 1962 as the Huntsville Research Park, CRP created a collaborative environment for companies who supported the ground-breaking governmental research at Redstone Arsenal. Throughout the following decades, it became known for its influence on the growing U.S. space and defense communities. Today, CRP is home to almost 300 companies ranging in size from start-ups to Fortune 500 organizations—employing nearly 29,000 employees and 11,500 students. The park is also known for its economic and cultural impacts on the local and regional communities through the integration of mixed-use spaces with research and other work environments. 2017 Innovation Award: Paratus Diagnostics at the STAR Park, San Marcos, Texas. 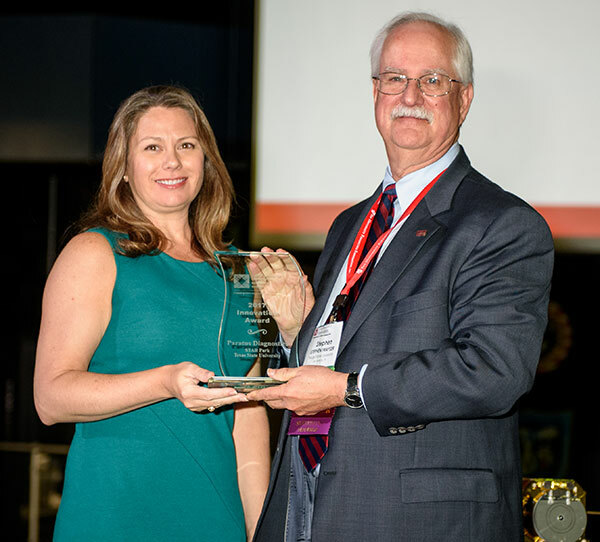 Accepting on behalf of Paratus Diagnostics is Shannon Weigum, VP. Paratus Diagnostics partnered with its research park in an impactful way to develop a novel point-of-care product using targeted assays through other available technologies to provide rapid disease detection. 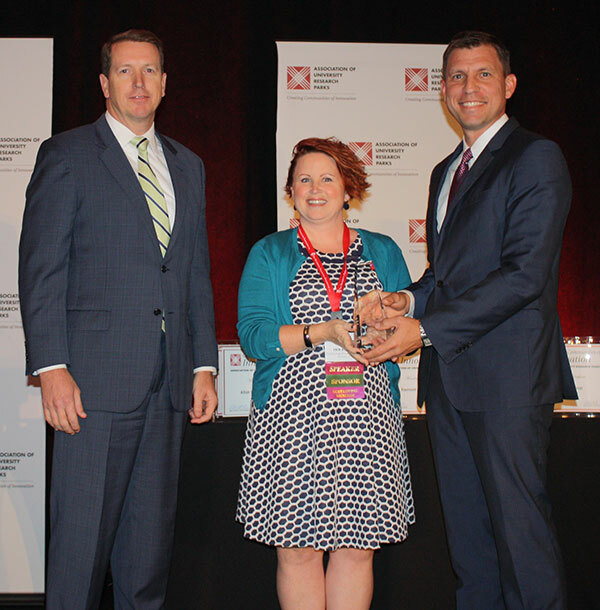 In 2016, Paratus received the Burdick Award for Innovation for being the most outstanding new commercial technology in the Central Texas region, as well as having received funding support from the Gates Foundation, National Institutes of Health and the Department of Defense. In late 2016, Paratus successfully closed their Series A funding round. The Association of University Research Parks is a professional association of university related research and science parks. AURP's mission is to foster innovation, commercialization and economic growth through university, industry and government partnerships. For more information, visit AURP's web site at www.aurp.net.